Here's a creepy character! Out of all the pumpkins I carved this year, this one's my favorite. It's traditional - eyes, nose, mouth - but with an unexpected, sinister quality, like certain evil characters in Matriculated Death, #1 from the book series Undead Bar Association. The seeds from this pumpkin needed a suitable twist to their baking, and they get it with a great peanut butter recipe. There's a twist, too: you decide if the finished seeds will be good or evil. 4. Place dry pumpkin seeds in bowl. Spoon in peanut butter and coat seeds. Tip: wash your hands then use your fingers to mix the peanut butter and seeds. It's a lot faster than mixing with a spoon. Get kids to help with this stage; it feels gross and they think it's hilarious. 6. Roast pumpkin seeds for 10 minutes then check them. 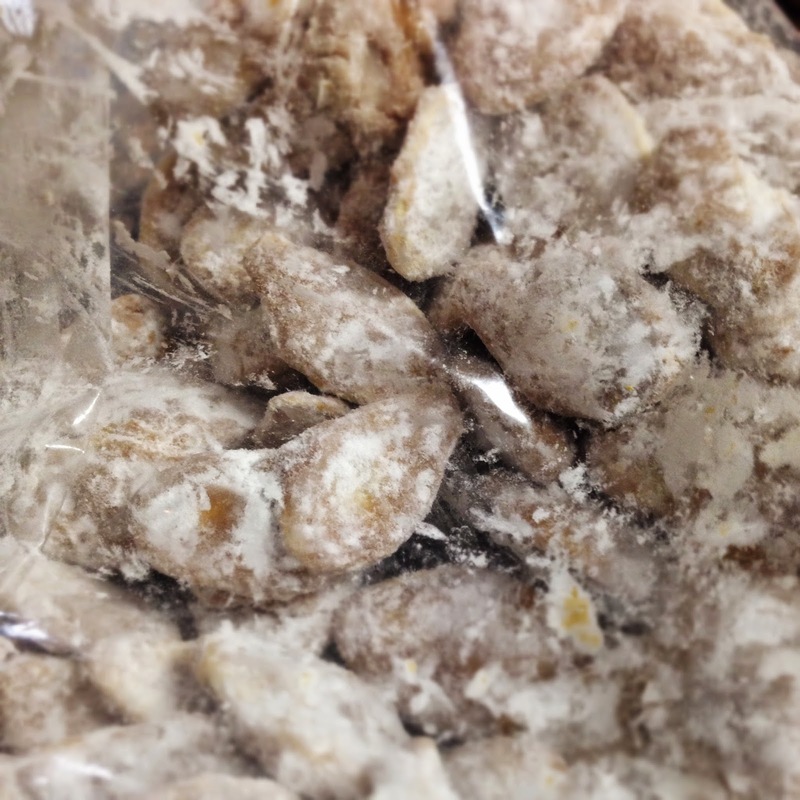 Bake in 2 minute increments until peanut butter starts to look a little dry and brittle. 7. Allow pumpkin seeds to cool, about 30 min. 8. 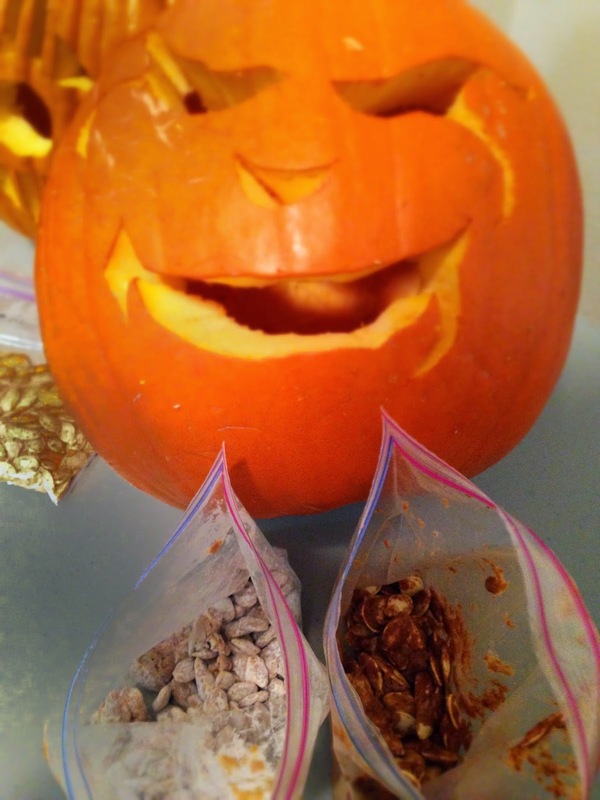 Divide pumpkin seeds between 2 - 3 plastic bags. 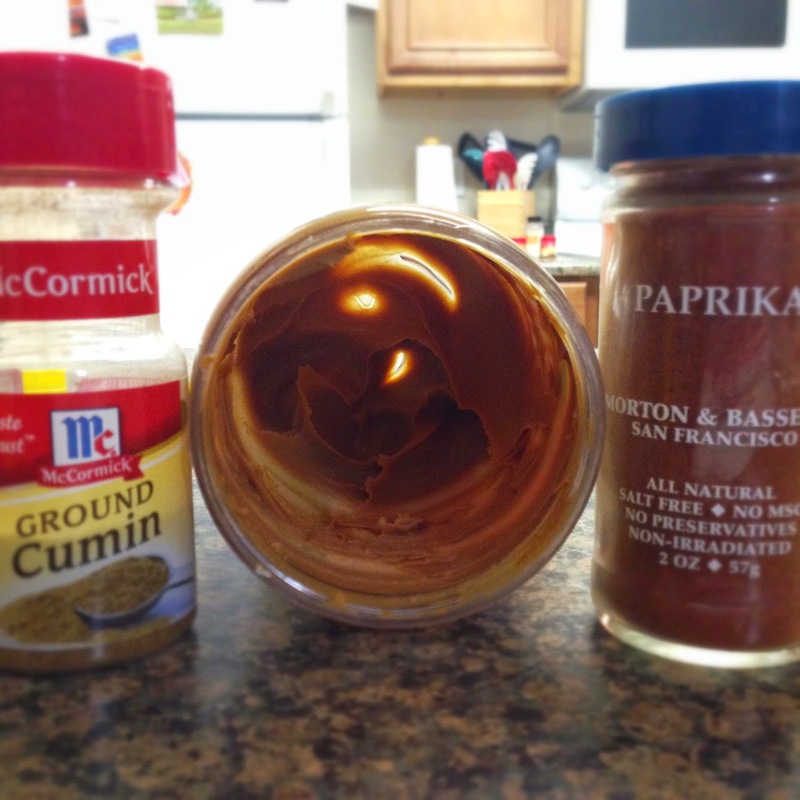 Toss some cumin and paprika in bag with peanut butter pumpkin seeds. Go easy on the paprika. Trust me; a little goes a long way. The finished product here will NOT be an evenly coated finger-food like the Good Version. Instead, you're going to get a savory and crunchy spread to use on crackers. Want a really fun taste sensation? Spread this yummy evil on apple slices. 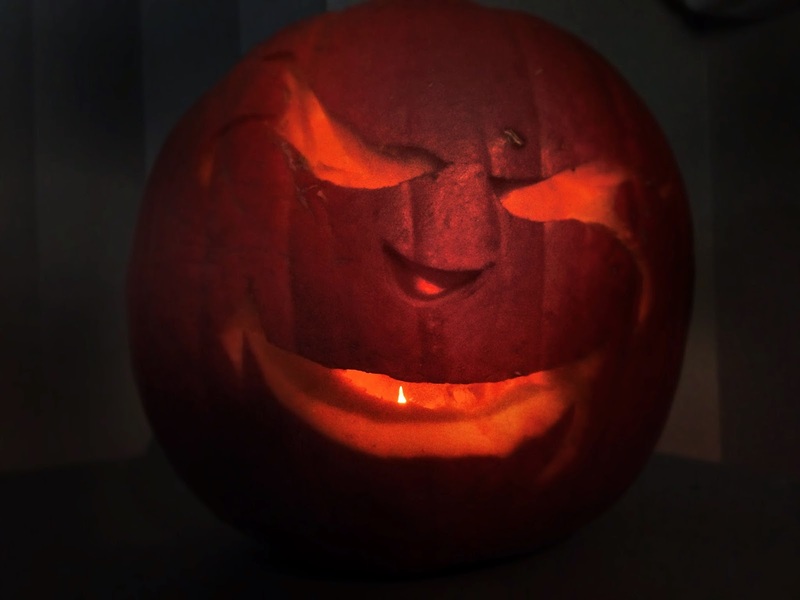 Good or Evil, there's smiles in store when you add peanut butter to those pumpkin seeds. Enjoy!